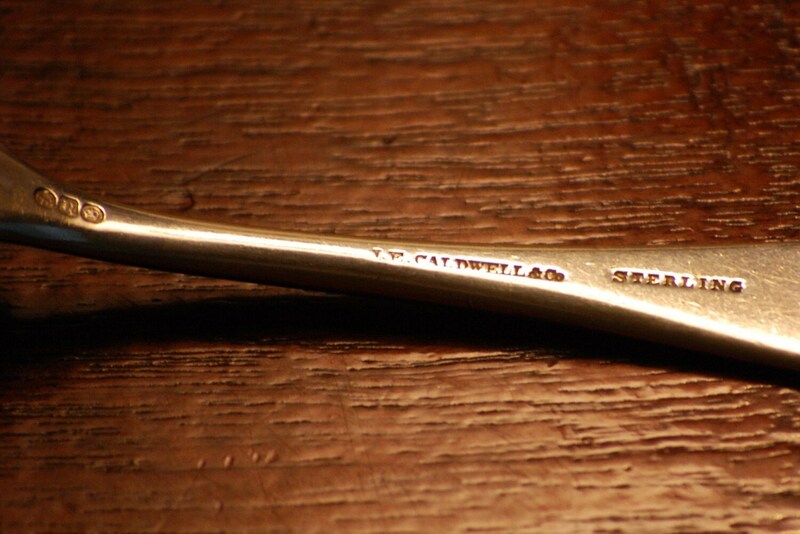 Heavy Sheffield sterling table spoon retailed by Venerable Philadelphia jeweler J. E. Caldwell & Co. Very nice piece of English sterling silver. In 1839, James Emmott Caldwell began to supply wealthy Philadelphians with stylish European jewelry, silver, and objets d'art. Probably post-1868, but early. 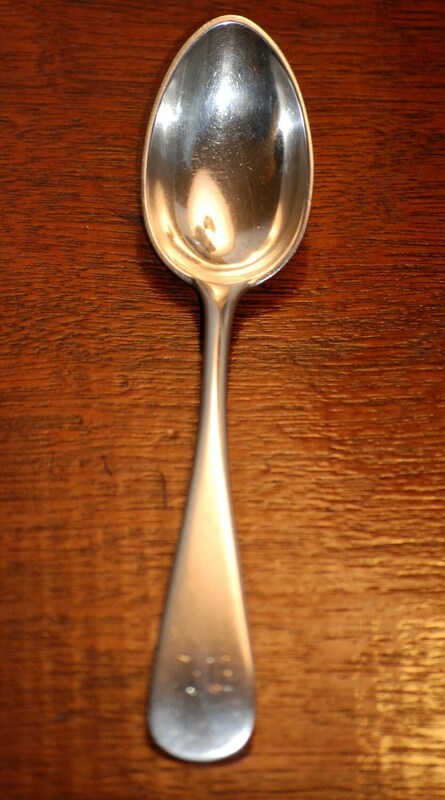 Spoon is fully hallmarked with "J.E. CALDWELL & Co STERLING" as well as the lion passant, Sheffield crown, and cursive "R". 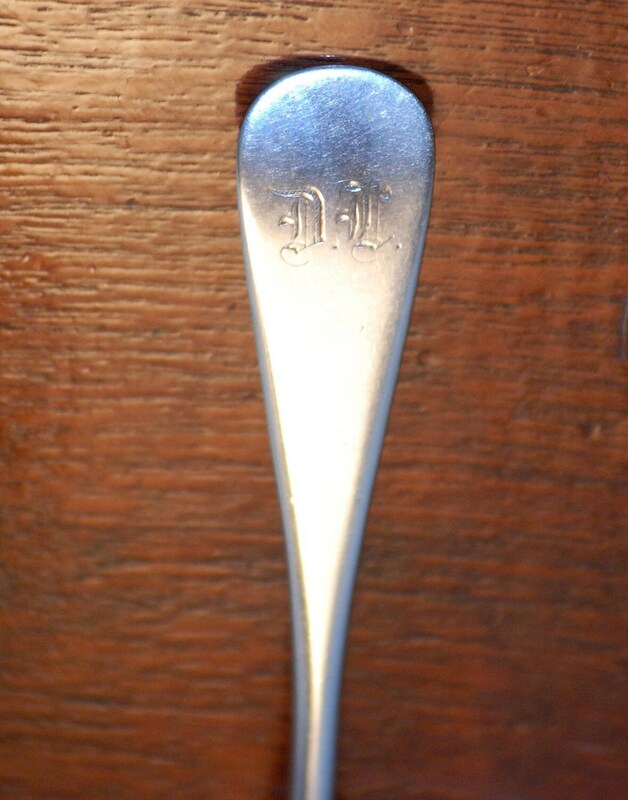 Spoon is monogrammed D.L. This spoon is extremely heavy and elegant in its simple design. Approximately 43 grams. Stem: 4 1/8" x .75" at widest.